Academic and Industrial collaborations are being developed between the Aquitaine Region (cap. Bordeaux) in France and the State of Karnataka (cap. Bangalore) in India. Whereas collaborative projects have been proposed for 25 years in the main frame of the Indo French partnership (Indo-French Centre for the Promotion of Advanced Research, IFCPAR, Centre Franco Indien pour la Promotion de la Recherche Avancée, CEFIPRA), additional specific actions are now proposed in a Region-to-Region framework. 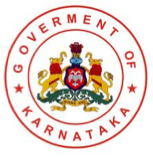 A programme to favour exchanges at the pre-doctorate level (Master, Engineer, M.Sc, M.Tech) is launched between Universities, Institutes, Engineering Schools and Industries of Aquitaine and Karnataka. The programme will grant 3-6 month research/industrial trainings for Indian students willing to accomplish a project in Aquitaine and for French students willing to do the same in Karnataka. Funding is provided through CEFIPRA, and includes travel; accommodation and a Scholarship to live in India or in France.